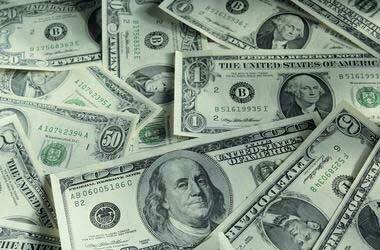 The Greenback gained momentum against the Yen and other G10 currencies in the first-week of September, as expectations of a Fed rate hike in December increased. The market also pushed the US dollar upwards in anticipation of a tax reform plan from the US President Trump. The Yen, on the other hand, weakened due to a rally in the Japanese stock market. 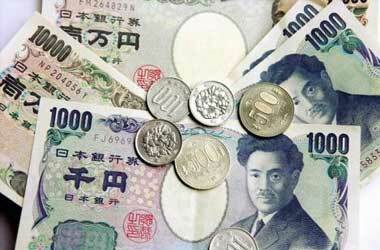 Thus, from a low of about 107.31, the USD/JPY pair rallied to reach a high of 113.40 last week. We anticipate the uptrend to continue in the days ahead due to the facts provided underneath. A series of positive economic data has come out of Japan in the recent past. The Ministry of Finance reported a ¥2.27 trillion current account surplus in August, compared with a ¥2.03 trillion surplus in the previous month. Analysts had expected a surplus of ¥1.98 trillion. That news was followed by a Cabinet Office’ report of a rise in Economy Watchers Sentiment index reading to 51.3 in September, from 49.7 in August, and better than economists’ expectation of 50.2. It is the highest reading since December 2016, when the sentiment index recorded a level of 51.4. Finally, last Wednesday, the Cabinet Office reported a 3.4% m-o-m increase in core machinery orders in August. In July, core machinery orders increased 8%. The improvement in Japan’s economy, as revealed by the economic data and solid corporate earnings, pushed the Nikkei index to a 21-year high of 21,000 on Friday. That suggests a probability of further weakening of the Yen, as the safe haven currency has a unique inverse correlation with the Japanese stock exchange and economy in general. In the US, the Bureau of Labor Statistics reported a 0.5% m-o-m increase in consumer prices in September, versus economists’ expectation of a 0.6% increase. 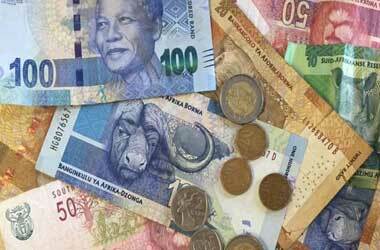 However, the reported figures were higher than a 0.4% growth recorded in August. Likewise, the retail sales increased 1.6% in September, on a month-over- month basis. In August, the retail sales declined 0.1%. Analysts had expected a 1.7% growth in retail sales. Core retail sales increased 1%, versus 0.9% expected by analysts, and greater than 0.5% reported in August. The solid rise in inflation and bounce back in retail sales has increased the odds of a rate hike in December. Thus, economic data and rate hike expectations support a Greenback rally against the Yen. As seen below, the historic price chart indicates support for the USD/JPY pair at 111.70. 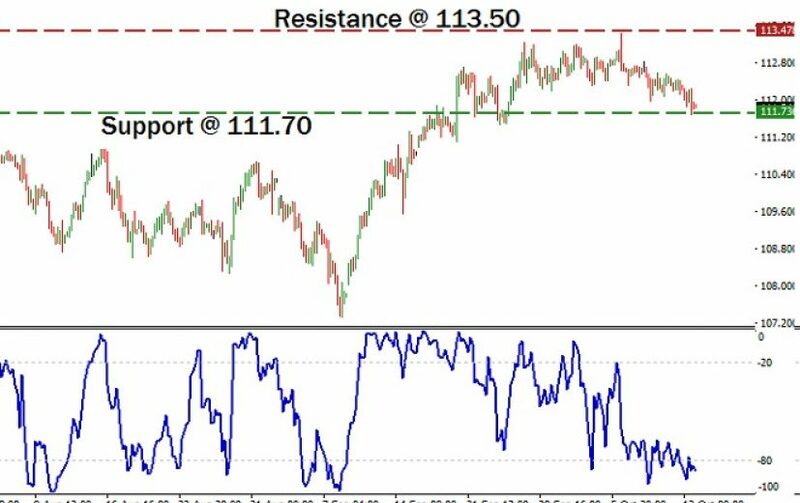 The Williams’ Percentage Range indicator is in the oversold region. Thus, we can expect a bullish trend reversal soon. A long position is preferred at this point in time, to gain from the uptrend. 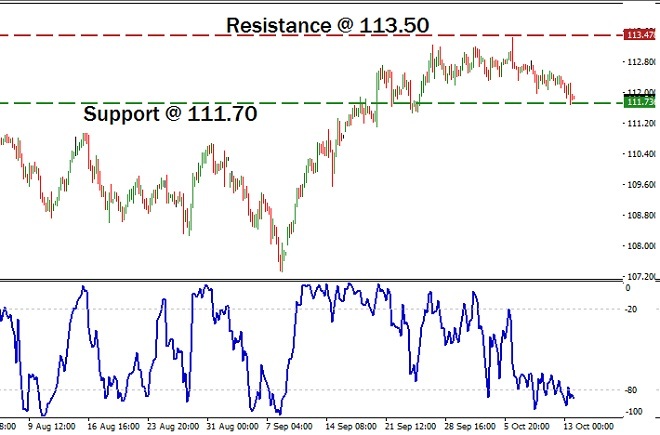 In the Forex market, we may open the position near 111.70, with a stop loss order below 110.80. We will book profit when the pair reaches 113.50, where the next major resistance exists. From one of the reputed forex brokers listed here, we may buy a call option valid for a week. A strike price of about 111.70 is preferred for the trade. Hi, my name is Charlie Harrison and welcome to top10binary. Keep up to date with the binary option world here.